The area before the actual park was just full of people and advertisers from all kinds of outdoor companies as well as car manufacturers such as Toyota, Subaru and Mitsubishi showing off how well their cars worked on off-road situations and at steep hills. Today was called the Outdoor day, apparently. I moved on and found myself in an even more crowded Yoyogi Park (代々木公園). I didn’t know that this was going to be going on. And I was supposed to find people in this!? After a long while of trying to get a data connection to work, I found myself the coordinates that had been posted on the event’s Facebook page. With those coordinates I was then able to find the place. I just knew the place when I saw the very familiar face of Tomoko – a friend of Victor’s. I don’t know who half of these people are. Greetings were exchanged when I got on to the tarp after taking off my shoes, and I found myself soon taking off with a Japanese man called Taka – someone who had also come in unprepared to the party (with no alcohol or food) – to rectify the situation. Taka generously offered to buy me a Frankfurter and some beer when we finally got through the line. While I was in the line, Brendan informed me that he was in the park, at a fountain. Due to the signal being so bad, it was difficult to give instructions – so me and Taka decided to look for him around the fountain we were at. Suffice to say, he wasn’t there. We decided to go back to the group and wait for him. On our way there, I purchased a badly overpriced six pack of Sol. When we got to the group, he was already there. Some friendly verbal jabs were exchanged and the party went on – now with beer (for me and whoever took from the six pack). Mingling went on and eventually the so called superstars started arriving; People such as Victor and Megwin arrived on the scene. I exchanged greetings with both and got a picture of me and Megwin. Me, Megwin and a photobomber. I also met a person called Jess who generously offered people shots of bourbon – something that I, of course, would not turn down. Conversations were had, and I eventually had to go to the toilet. When it comes to going to the toilet, the lines are just insanely long, especially for the women. I was told that somewhere out there was a bush in which a lot of guys went to do their business – I ventured forth to find this magical place. On my way to the given direction, I saw that the line to the actual toilets wasn’t too bad, so I opted for that instead. On the line I talked with a Japanese guy both in English and in Japanese – I think I used the most Japanese that day when I was standing in that line. 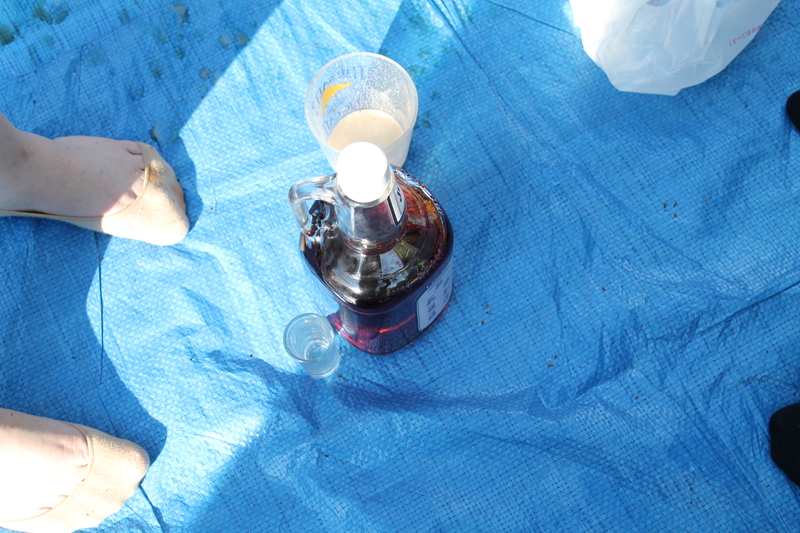 With my business done, I returned to the camp with some difficulties (I was drunk). Things went on in the camp until it started getting dark. People started gathering all the trash around the site and eventually picked up their stuff, ready to move on to the after party at a British pub called Hub. Victor was in pretty bad condition, so he stayed back when the most of us left. We eventually – after having lost tons of people on the way – found ourselves at the Hub. Some people still kept moving on to a karaoke place. Whatever was left of us went in to the pub. The pub was nothing really special, and nothing very special happened either – anything that I witnessed, at any rate. 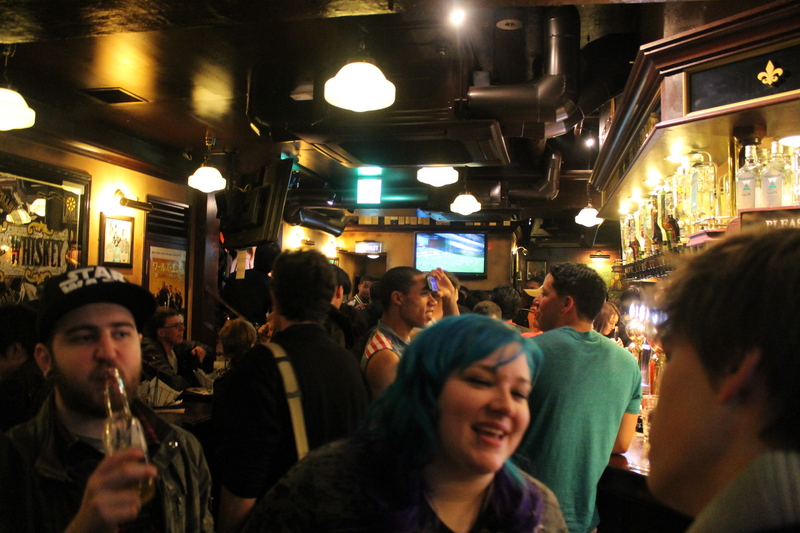 Eventually a small group of us left for a karaoke bar as well. 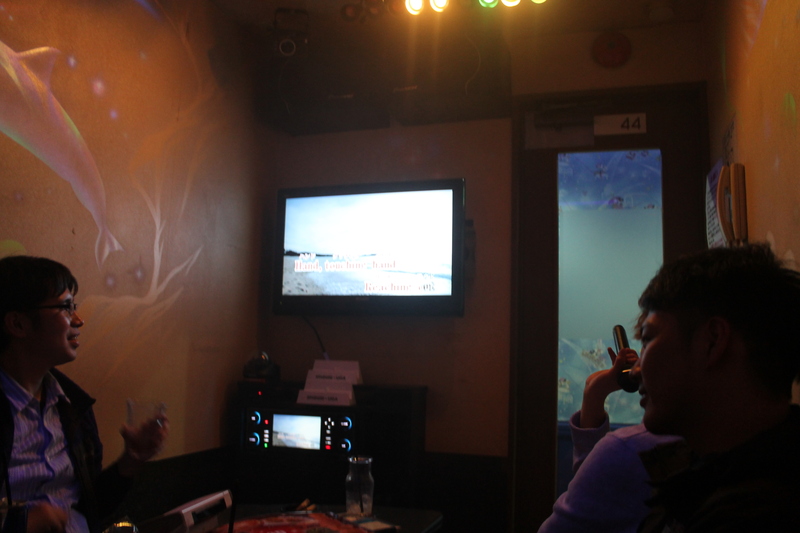 In the end, we found six of us wanting to enter the karaoke bar. We got in and got started. I personally avoided singing until a bunch of songs in. All of us sang at some point. After having enjoyed ourselves long enough, we started heading home. Jess kindly offered to have me at her guest room. I took the offer and we headed that way. Unfortunately, we found out that it was too late to get to the correct trains, so we just got a hotel for the night at Ooimachi (大井町). We got a hotel, but it cost 15,000 円 – it was the only thing they had. We split the bill and finished for the day. That is where the eight day ended. No money counting was done. This entry was posted in Adventure, Drunken Shenanigans, Japan, Travel. Bookmark the permalink.